Climate change is an ongoing process that has profound impacts on global environment and economy. This study focused on floods impacting Guyanese sugar industry. 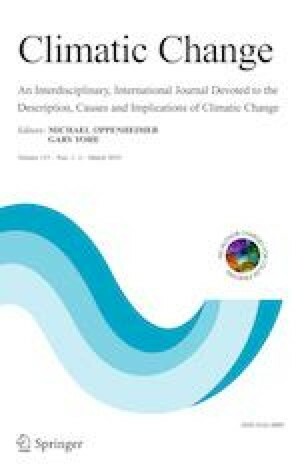 The study developed a conceptual framework representing an agriculture system’s vulnerability to a climate change stimulus/stimuli to assist in selecting indicators that can more accurately and realistically represent vulnerability. The development of a conceptual framework followed the IPCC (2007) framework composing of three vulnerability factors, that is, exposure, sensitivity, and adaptive capacity; however, it added some novelty as to how each of these factors is defined, their relationships, sequence of their occurrences, and their attributes. This study uses an impact-based approach to identify sensitivity indicators by investigating the impacts of floods on Guyanese sugar. This methodology resulted in indicators that can realistically measure an agriculture system’s vulnerability to a climate change stimulus/stimuli. Multiple indicators were used to measure sugar vulnerability with experts’ opinions used to assign weights (by the Analytical Hierarchy Process) to both the vulnerability factors and their indicators to arrive at annual sugar vulnerability indexes for the period 2003 to 2016. The study showed that Guyanese sugar was highly vulnerable to floods and adaptation measures were identified to target specific indicators.